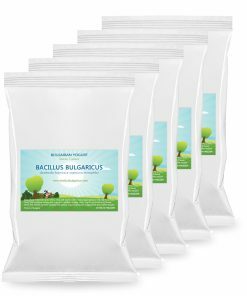 Our Bulgarian yogurt starter makes genuine Bulgarian yogurt (kiselo mlyako) of exceptional quality with classic Bulgarian yogurt taste, thickness, acidity and aroma. The yogurt is thick and creamy in nature and has an impeccable taste with just the perfect balance between being mild and tart. It is unlike any other yogurt you’ve ever tried. Simply select a pack size and enjoy the best yogurt in the world! This is an authentic Bulgarian heirloom yogurt starter. 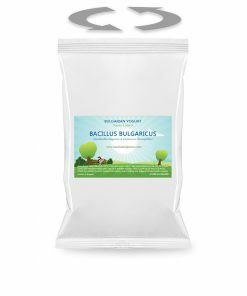 Each pack contains loose powder mix, in perfect proportions, of the two strains required to make Bulgarian yogurt — lactobacillus bulgaricus and streptococcus thermophilus. It makes thick, creamy and absolutely delicious yogurt. The starter is organic and fully natural with no preservatives, additives, artificial colors or flavors. It contains no GMO ingredients and it is gluten free. This is a heirloom yogurt starter with live active bacteria, which means that you can reuse yogurt from your previous batch to culture your new batch, for as long as you wish. Type: Heirloom thermophilic Bulgarian yogurt starter. Strength: 1 gram of starter contains more than 25 billion cfu of lactic acid probiotic bacteria strains lactobacillus bulgaricus and streptococcus thermophilus. 100% potency guaranteed. It is super easy to make yogurt using this yogurt starter. You can make your own yogurt with or without the help of an yogurt maker. 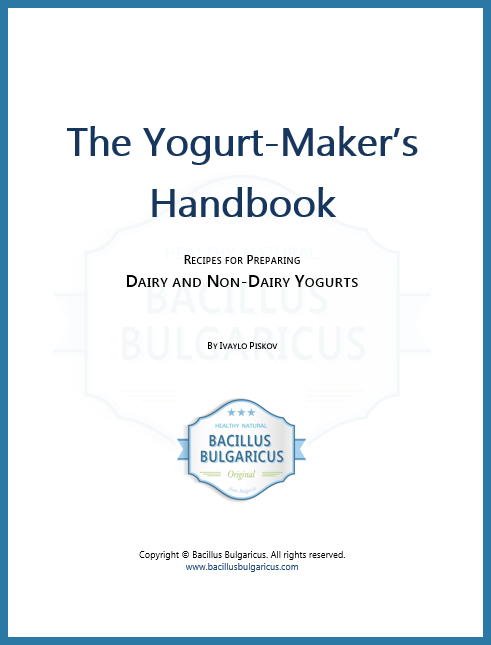 Check here for the 6 easy steps to make your own yogurt. Store in freezer. Take out as much as you need in order to make yogurt, then reseal and refreeze the remaining starter for later. The starter has 2 years of shelf live. Thick and creamy I tried both standard 8 hours and 24 hours SCD with excellent results I’m using two different yogurt makers and results always perfect taste is a little bit sour but nice with honey also people prefer the taste as the real Bulgarian yogurt only thing about no instructions how to proceed with the frozen starter to get best results. Thank you! Your email will not be published. We need it only to verify if you are a customer. Please also mention the country you are from in your comments. That way we can see where our customers are in the world! This is the same authentic Bulgarian heirloom yogurt starter only with added oil extract from the famous Bulgarian rose damascena. It makes genuine Bulgarian yogurt (kiselo mlyako) of exceptional quality with classic Bulgarian yogurt taste, thickness, acidity and aroma with just a touch of rose flavor. Select a pack size and enjoy! Sign up and get a PLUS size pack each month. Each pack makes up to 8 Litres (2 Gallons) of yogurt. Great if you make yogurt once every week or so. Try all our wonderful products with this combo deal. Get a 4 Litres (1 Gallon) pack of yogurt, kefir, sirene and kashkaval, PLUS a free yogurt ROSE starter. This is the perfect combo if you want to try all our products. Our unique kefir starter makes thick, creamy and absolutely delicious kefir of exceptional quality with unique milder taste, creamy texture and aroma. 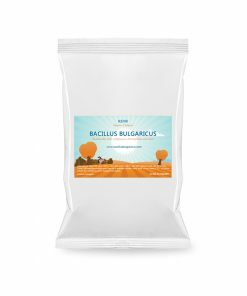 If you like kefir then you will love Bacillus Bulgaricus kefir. Select a pack size and enjoy our healthy and delightfully tasty kefir! Our Bulgarian Sirene (hard white brined cheese) starter makes a delicious sirene that turns out perfectly every time. Crumbly or creamy with excellent taste and great aroma, it's never been easier to make your own sirene. Select a pack size and get some now! Sign up and get a PRO size pack each month. 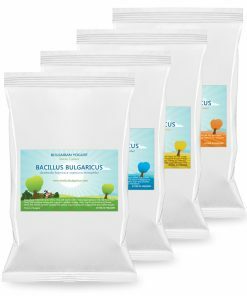 Each pack makes up to 30 Litres (8 Gallons) of yogurt. Great if you make yogurt often. A 5x 4 Litres (1 Gallon) yogurt starter combo deal. Buy 4 DOUBLE packs and get 1 FREE. Each pack makes up to 4 Litres (1 Gallon) of yogurt. This is the perfect combo if you do small quantities of yogurt often and would like to save. Sign up and get a DOUBLE size pack each month. Each pack makes up to 4 Litres (1 Gallon) of yogurt. Great if you make small quantities of yogurt regularly.